Biography of Amedeo Avogadro (1776 – 1856) - Robolab Technologies Pvt. Ltd.
Amedeo Carlo Avogadro was an Italian savant. He is renowned for his contribution to molecular theory, including what is known as Avogadro’s law. He was born in Turin, Itlay on 9 August, 1776. He was the son of Count Filippo Avogadro and Anna Maria Vercellone. His father was a distinguished lawyer and civil servant. Avogadro went to school in Turin. Coming from a family of well established lawyers, Avogadro was guided toward a legal career, and became a bachelor of jurisprudence in 1792, at the young age of just 16 years. Four years later he gained his doctorate in ecclesiastical law and began to practice. In 1801 he was appointed secretary to the prefecture of the department of Eridano. In 1820, he became professor of physics at the University of Turin. He married Felicita Mazzé and they had six children. As we all know today, Avogadro’s number is very large, the presently accepted value being 6.0221367 X 1023 . The size of such a number is extremely difficult to understand. Cannizarro, around 1860, used Avogadro’s ideas to obtain a set of atomic weights, based upon oxygen having an atomic weight of 16. In 1865, Loschmidt used a combination of liquid density, gaseous viscosity, and the kinetic theory of gases, to establish roughly the size of molecules, and hence the number of molecules in 1 cm3 of gas. 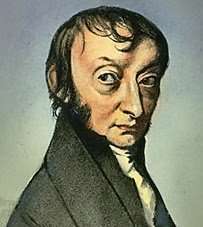 Avogadro died on the 9th July, 1856. He was described as religious, but not a bigot.